Born in Warsaw, Poland in 1978. I grew up surrounded by much historic architechture and inspiring art galleries. I now reside in Vancouver, British Columbia, Canada. These days the things that inspire me are the natural wonders of the West Coast, love and music. I have a background in graphics and web design but can’t help going back to the classics of oil painging and the magic of photography. Amazing work! I look forward to seeing more! Hey Mark, it’s good to hear your feedback! I specially enjoyed your construction guy but also enjoyed your black & whites. You do great people shots! Thanks for your comment. Stay in touch. Thank you for introducing me to your work by visiting my site! I love it, and also love seeing the beauty of Vancouver and environs – I’m from Seattle originally and miss it. Thank you for the feedback! Yes, Vancouver and the Lower Mainland have a lot to offer in terms of natural beauty. I’m lucky and very grateful to be here. hi, eva! dzień dobry! jak jesteś? bardzo dobrze, mam nadzieję? no, im not polish, but i have many polish friends and they taught me a few words of your language! really good to hear your in vancouver…thats where im heading in a few months time! i was born in the uk, moved to ontario and stayed there for a few years, but then moved back to the uk for work. cant wait to get back to canada…i really miss it, but this time, its gonna be BC…i got fed up of the freezing weather in ontario! many thanks for looking at my blog! perhaps we may be able to share a drink or two in vancouver or perhaps chat about photography? Wow, I’m very impressed with your ability not only to speak all those words in Polish, but also write them! Thank you for taking the time to stop by, read my bio and leave this message 🙂 I’ve never been to the UK but I’d love to go. BC is amazing! You will definately enjoy it here. Stay in touch! dobry rano! poznaję bardzo mały język polski! Bardzo mały! ..ive got no excuses really, as i have lots of polish friends, but i need to practice more! ive been in the uk for just over 2 yrs on work placement which runs out this june. the uk is very different…you will know that if you came from poland originally…europe has its own unique way of life…and of course, its own problems! i’ll be hopefully staying in burnaby, but my first priority will be getting a job! im into quality assurance (! )..pls feel free to pass my name to your network if you dont mind! cheers…or should i say “Widzą was”…! For sure, I’ll let you know if I here of anything fitting. Good luck! Thanks for the follow…look forward to seeing more. Cheers. There’s nothing quite so inviting as sharing an artist’s vision of the world around them, and whether it is a painting, a drawing, a photograph, or a beautifully crafted paragraph, the response they evoke in the observer or admirer is the gift the artist bestows. Your artistry is very inviting to view, and your vision of the world seems quite beautiful. I suspect at the heart of all your work is another beauty that dwells within you, which you release in such stunning images and works of art. Your kind acknowledgement of my blog is also a gift, and I am glad you found it….John H.
I am trully moved by your beautifully constructed words. Thank you for this opportunity to converse with you. Your blog is full of beauty and wisdom and I am honored and grateful that you took the time to complement my work. I look forward to your future posts and please, stay in touch. Your photos of flowers are especially beautiful. Thanks for stopping by at my blog, Louisa May Alcott is My Passion. Thanks for dropping by my blog. Your work is gorgeous, and I look forward to seeing more of both your photos and your paintings. You’re welcome! Thank you for the feedback 🙂 Come back often as I’ve got plenty to show! 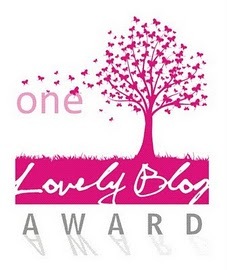 Thank you for having a look at my blog! Your work is beautiful! I am definitely following you from now on! Hi Eva! Thank you for visiting my new little blog, it is nice to see that somebody is reading it! Your photographs are beautiful. Thanks for stopping by at WATCHING SHADOWS ON THE WALL, it’s always great to have the acknowledgement. Your photos and paintings are beautiful. Thanks for stopping by. I’m new to blogging so very much appreciate your “like.” I used to live in Vancouver so I enjoy looking at your images all the more. Keep it up! Wow, thank you!!! So what do I do next? Hi Eva! Thank you for visiting my blog. You already have a gallery here. I’m happy to see people sharing and expressing themselves through the pictures they took. I also admire your paintings. Keep it up! Thank you so much for visiting my blog. I am truly honored that you like the post and the photos. I will most definitely follow your blog to get inspiration for my budding photography endeavors. Wow! Thank you so much! I’m very grateful 🙂 I will check it out for sure. Thanks for liking my post. It’s always good to know when real photographers appreciate my post. Hi! 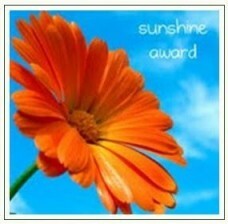 I just wanted to let you know I nominated you for the Versatile Blogger and Sunshine Awards! Hello Eva, I have nominated you for the Reader Appreciation Award. Wow, thank you very much! This is my second award today 😀 How cool is that ?!! Thanks for visiting my blog! By doing that you have inspired me with your beautiful work. Keep it up! I really appreciate your passion for art. Hi there. Your work here is very beautiful. Thanks for the like on my blog! It means you are busy enjoying life and doing what you are doing! Keep doing it! The awards aren’t going anywhere… Congrats! 😀 Looking forward to your future posts! thanks for visiting my blog site…and by the “Like” provided. beautiful photos you have here. Thanks for stopping by and liking my post. You have some very nice photos on your site. I have also tried various types of creative expression but I am really enjoying photography and I can see you enjoy it as well. Thanks for stopping by my garden. Obviously, I’m more of a gardener (and wannabe painter, too) than photographer, but I loved looking at your work. Thanks for visiting our site and liking our post about Sweet Frog Yogurt! Hi Eva! Thanks for visiting TogetherOne and sharing beauty through your eyes and paintings. thank you for visiting and liking my tulip post! Thank you for stopping by my blog and liking Something To Remember. I have not known anyone who was selling photos on Etsy.com and wondered if it was working for you. I am excited to know because I have tons of photographs I would love to sell if possible. I just opened my shop a few weeks ago (http://www.etsy.com/shop/ekphotoart) so I’m still figuring things out myself but I think it’s worth a try. Etsy has a ton of helpful resources for new shop owners. I think for the most part the success on Etsy depends on not just how they present their product but how much time they put into networking and optimizing the titles and tags with the right keywords, etc. Good luck! Dzień Dobry! Thank you for liking my blog post! Your photos are beautiful! And paintings too! Dzień Dobry to you, too! Thank you for the compliment. Thank you for visiting and following me! I see we share a love of flowers 🙂 Your work is beautiful. Since my last comment I have opened a spot of etsy.com also. I cannot figure out how to add that I have one onto my blog. Can you enlighten me how to do it? No problem. If you would like to place an Etsy Badge in your blog like the one I have in the top right corner, first, you go to http://www.etsy.com/help/article/3533. This explains what an Etsy Badge is and how to get it. Next, go to your WordPress Dashboard and click Appearance, then Widgets. Scroll down you and find the Text widget. Click and drag it into your Sidebar and paste the code you got from Etsy. That should do it. Thank you Eva! That works like a charm and it is now posted on my blog. Enjoy your photography. Look forward to seeing more in the future.